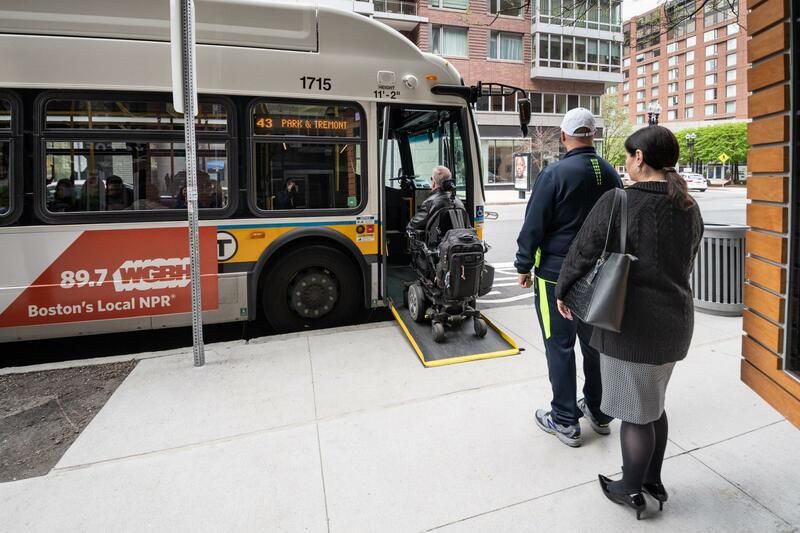 The entire MBTA bus fleet is accessible to people with disabilities. 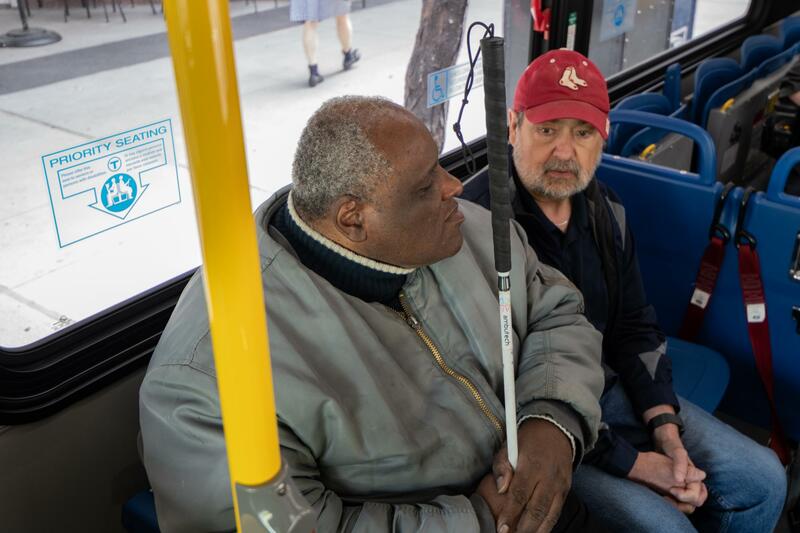 Seniors and people with disabilities may qualify for reduced bus fares. To receive a Senior CharlieCard, a Transportation Access Pass (TAP), or a Blind Access Card, you must apply through the CharlieCard Store. 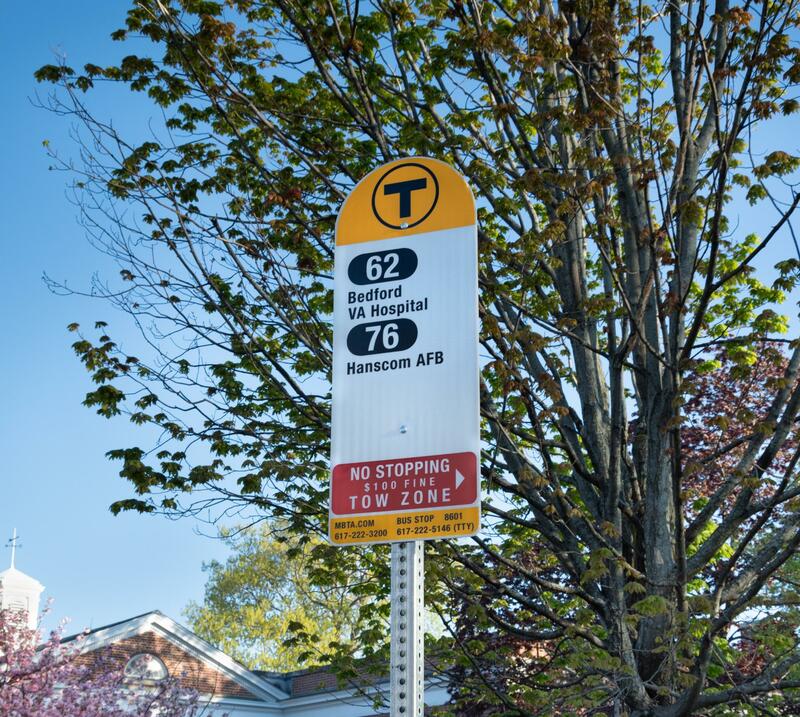 Most MBTA bus stops are labeled with white, black, red, and yellow signs with a large “T” logo. Newer signs have yellow markings across the top and bottom. Signs also include a list of the bus routes that serve that particular stop. 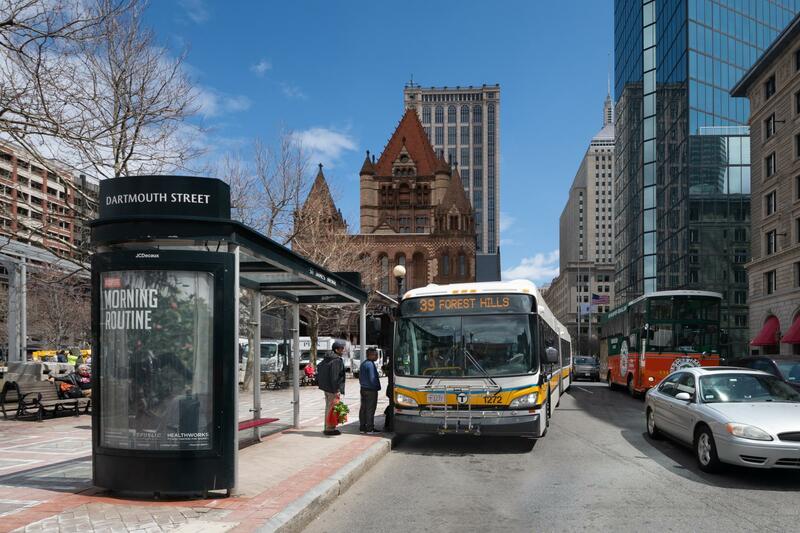 Many bus stops also have accessible shelters in case of cold, rainy, or snowy weather. The MBTA and municipalities do their best to keep bus stops clear for easy boarding. Contact the owner of the stop if your bus stop is obstructed. While waiting for your bus, please stay a safe distance from the curb. As the bus approaches, try to position yourself near the bus stop sign where you’ll be most visible to the operator so they know they need to stop. The destination and route of each bus is displayed on the front and side of every vehicle, and will be announced by an automated system at every stop. You can also ask the operator for the bus route number if you’re unsure. Bus operators are required to pull as close to the curb as possible at every stop. If they cannot pull close to the curb, they will help you board at a safe location nearby. If there isn’t one, they will call the dispatcher for assistance. 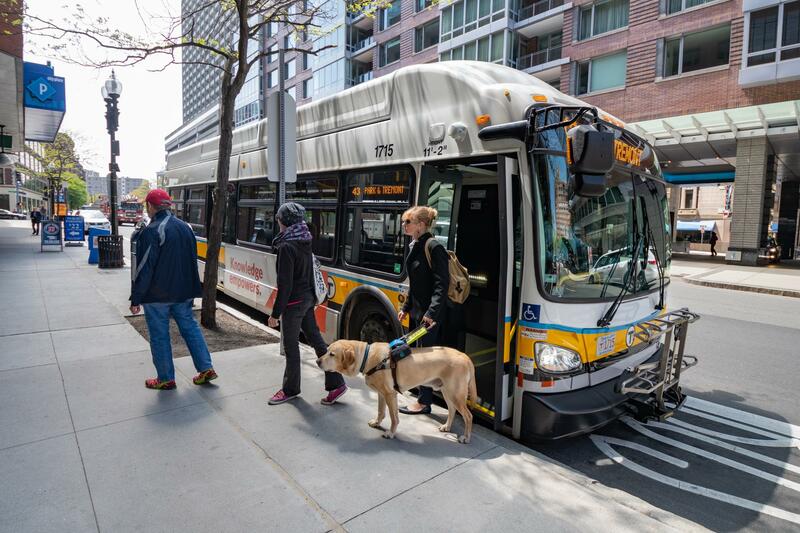 All MBTA buses can be lowered to make boarding easier. Ramps are available to help any customer who asks to use them. If you use a wheeled mobility device, the operator may pre-board you to ensure there is space in the securement area. 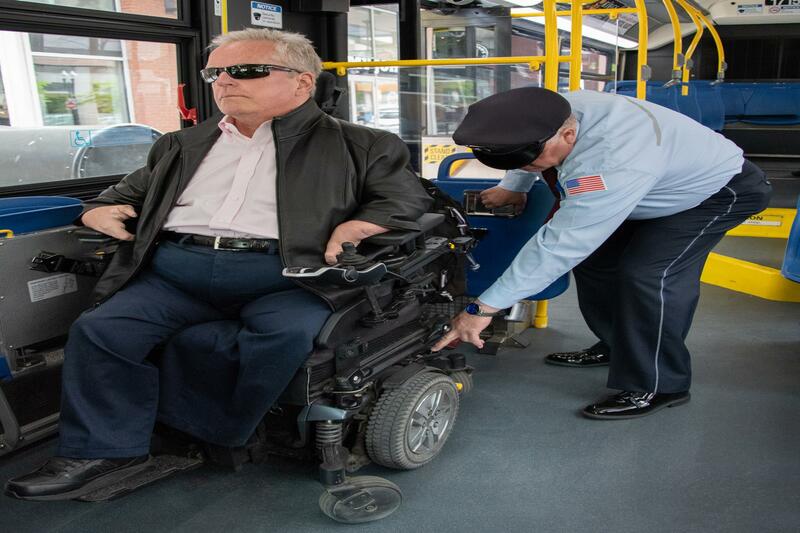 If you use a wheeled mobility device, make your way towards the securement area and position your device so it faces the front of the bus. Lock the wheels and/or turn off the power. The operator will secure your device. Wheelchairs must be secured by 4 straps. Scooters must be secured by 3 or 4 straps. If you want to use a lap and shoulder belt, the operator will assist you. If you use a scooter and would prefer to sit in a standard bus seat, the operator can help you move to a seat once the scooter is secured. The operator may ask you for your destination stop so they can find a safe place for you to exit. If you’re not comfortable sharing that information, you don’t need to. 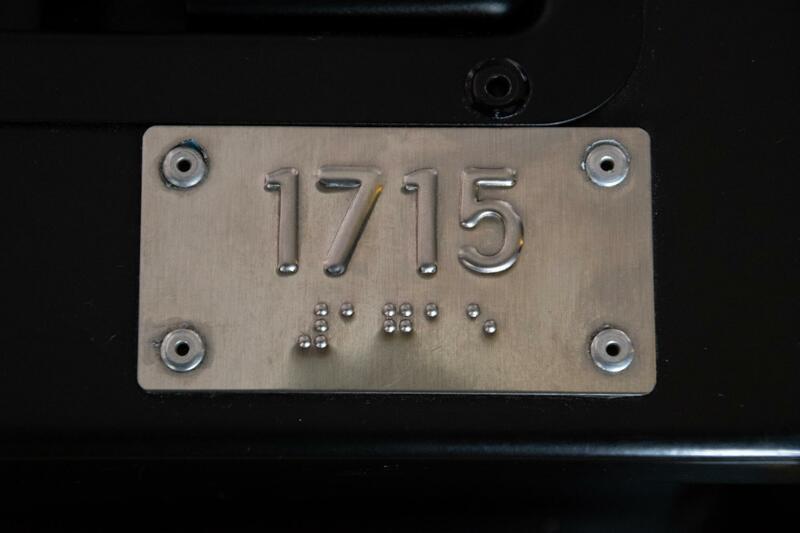 On most MBTA buses, the vehicle number is printed in raised numbering and braille on top of the box on the passenger side of the bus, in the corner nearest the operator. The badge number of the bus operator will also be periodically announced and displayed on a screen at the front of the bus. 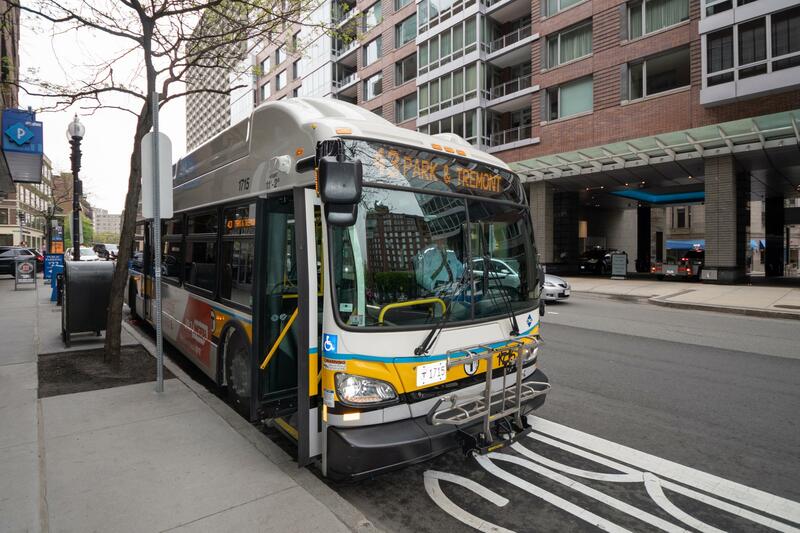 All MBTA buses are equipped with fare boxes that accept CharlieCards, CharlieTickets, and cash fare payments. If you need assistance with the farebox, the bus operator will help you. Priority seats are available near the front of the bus. Operators are required to ask customers to make priority seating available upon request. Customers are expected to yield their seats to seniors and people with disabilities, but cannot be forced to move. 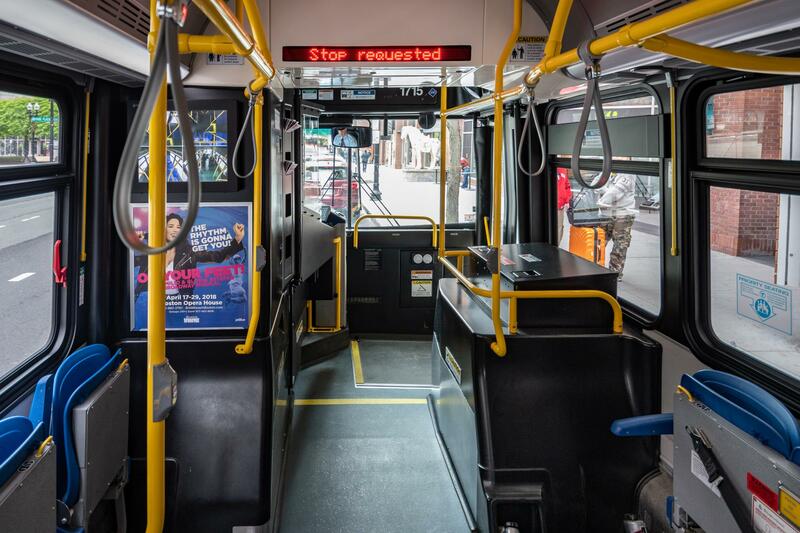 If there are no priority seats available, the operator can help you to another seat or call the dispatcher to find out when the next bus that can accommodate you will be arriving. All stops and transfer points are announced automatically and displayed on a screen at the front of the bus. If the automated system isn’t working, the MBTA operator will make those announcements. 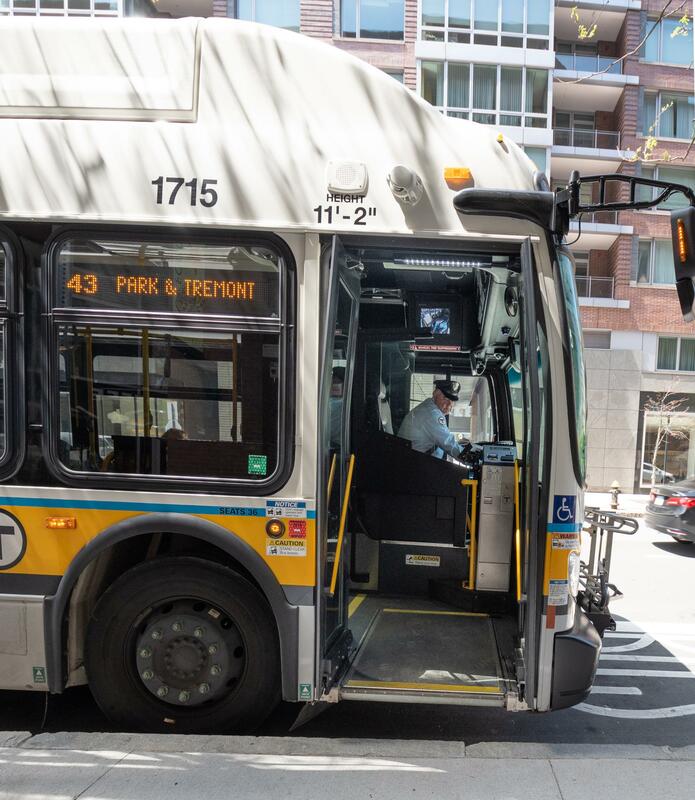 On MBTA buses, stops must be requested by pressing the yellow or gray strips located near the windows of the bus, or the red “Stop” buttons located on vertical handrails. If you need help finding your stop, ask the operator for assistance. If the operator cannot pull close to the curb at your requested stop, they will help you exit at a safe location nearby. If there isn’t one, they will call the dispatcher for assistance. If you need the bus to be lowered or would like to use a ramp to exit, the operator can assist you. 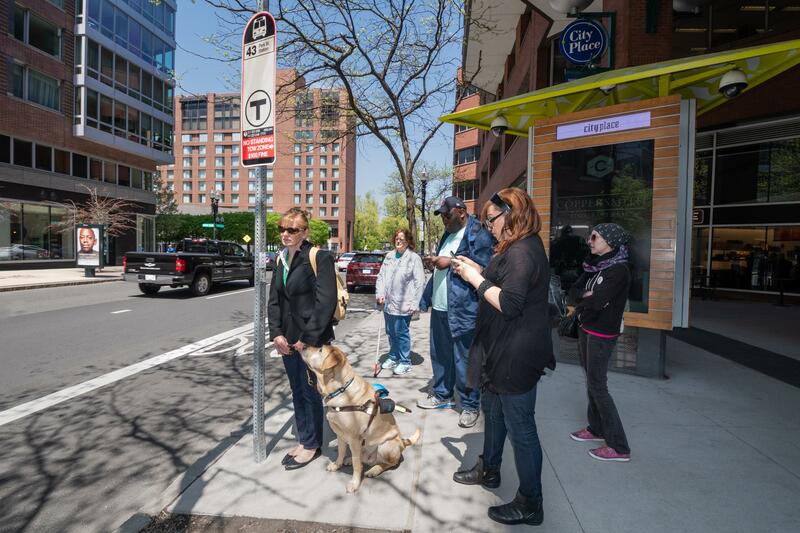 Learn more about how you can take the T to all the best spots in the city.